Office design: Portable computer stand helps your crowded office designs–have smarter office designs in tight space anyplace. Office designs cramped?–Discover more space! 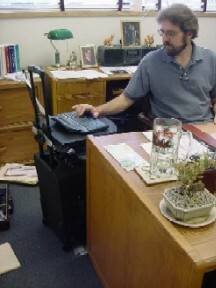 Portable computer stands add space to tight office designs–more useable office design space anyplace. Office designs Cramped?-Discover More Space! Portable computer stands add space to tight office designs-more usable office design space anyplace. Research Insight - Add "Smarter" desk space-to office designs! Then relish the extra desk space you can park and use anyplace...inside your own office, or on trips. Office Designs Need More Space? With no reduction in the amount of technology and paperwork you use,...you really need the same amount or more office space...particularly desk space. Office Designs With More Desk Space! The office designs for mobile professionals and executives, especially those that participate in multiple project workteams...have very special office design needs? Management usually incorrectly believes...if you work 80 percent of the time away in team spaces, or on trips...your home office design can be a lot smaller. Actually the opposite is true...you require the same, or even more space. Struggle everyday to work productively in ever smaller home base offices--with their laptops, documents and related project materials--in increasingly crowded quarters. Read on, to learn how Desk Space AnyplaceTM can lend your office designs additional work space.